A Los Angeles DUI arrest and conviction can dramatically alter the course of a promising life or career. This could soon be true for Miami Hurricanes backup quarterback Kevin Olsen. 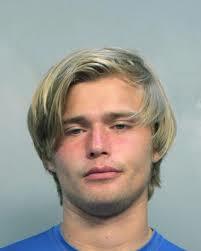 Authorities arrested Olsen, a University of Miami freshman, on September 15. He now faces charges that could impact his standing at the university and athletic career for failing a field sobriety test and possessing five stolen or counterfeit driver’s licenses. This arrest represents the most recent in a string of disciplinary troubles for Olsen. He previously left the scene of an accident, failed to report an accident, and received two suspensions from the Miami team for failing to follow team standards. It is not yet clear how this legal woe will impact Olsen, the younger brother of Carolina Panther Greg Olsen, as he continues to pursue an education and football career. Based on existing DUI laws, however, a conviction will likely result in several repercussions. • License suspensions. Your driver’s license could be confiscated and suspended for up to one year. • Job loss or suspension. Employers often choose not to hire new employees with a history of DUI or fire existing employees who violate these laws. They may also suspend workers without pay after a DUI conviction. • Fines. Fines up to $1000 (plus court costs) and license reissue fees can be charged for a first offense. • Jail time. You could spend between 48 hours and 6 months behind bars with a first DUI conviction. Repeat offenses or those accompanied by reckless behavior exacerbate these consequences. If you have recently been arrested for DUI, a Los Angeles DUI attorney can help you form a solid defense. Contact the Kraut Law Group today to discuss your legal options.